Paratus Familia Blog: What would you do? Hi everyone - please forgive me for the inexcusably long absence. I have been wrapping up 2014 and ushering in 2015 and became more than little sidetracked! I'll be bringing you up-to-date in the coming month. I have a question for you. Recently I read a "Dear Abby" column and disagreed with her answer completely. Over tea, I posed the question to Sir Knight - his answer mirrored mine. After dinner, before we abandoned the table, we posed the same question to each of our three older children, they too, answered as Sir Knight and I had. Funny thing, that! You are in a public ladies bathroom (you gents will have to use a little imagination here). There are three regular stalls and one larger handicapped stall (equipped with a baby changing station). When you enter the bathroom, all of the stalls are occupied. A line quickly forms behind you. Directly after you is a frazzled looking young woman with a loudly fussing infant in her arms and a cranky toddler attached to her skirt. The first bathroom stall to become available is the handicap stall with the baby changing station. Being the kind and generous person that you are, you usher the young mother into the stall and continue to wait for another stall to become available. Almost instantly an angry voice cuts through the room - a lady in a wheelchair (at the back of a very long line) voiced her adamant opinion that the woman with the babies should have waited for a "normal" stall and she should have immediately been ushered into the handicapped stall. What do you think? Should the mother and children have taken the handicap stall or should it have been reserved solely for the use of the handicapped patron? You can probably imagine our response, but tomorrow I will tell you what our family thought and what "Dear Abby" answered. I can't wait to here what you say! I would have let the toddler go ahead of me, too. It's silly to "hold" a restroom, preventing its legitimate and needed use just because someone with the right label might come along. I've had this happen. I took my child into the larger stall (ever try to get yourself and a child in a small one?). I did not see the lady in the wheelchair in line and she was very rude with me when I exited the handicap stall. Even if I had seen her in line....I'm sorry but I believe that she could wait just like everyone else. If the stall was designed as duel handicapped/ parent room then it would be appropriate use . At our local shopping centre the parent /disabled facility was a separate room . I would send master drop bear there when he considered himself too old to go into the ladies. Guess you would have to be there to know how to appropriately respond to the woman who disagreed with how the stall was used , gauging her level of crankiness at the time . Hopefully the stall is clearly signed for the duel purpose . Yes, the mother and children had a right to the handicapped stall since there was a baby-changing station in it. I'm probably a horrible person but here's my take on bathrooms... they have to provide baby changing stations and they have to provide handicap accessible stalls. Neither of those things imply that the stall is solely reserved for those purposes, only made available for them, and it is to be expected that sometimes the people who require those specific stalls may have to wait to use them just like the rest of us. So if I'm waiting in line, the first stall available is available for anyone to use. If, at my discretion I choose to let the person behind me go in front of me that's my choice because that doesn't affect anyone else's place in line. In your scenario, since the handicap stall also houses the baby changing station, there's no reason for the lady in the wheelchair to be upset because the stall exists for that purpose as well, and the lady with the baby was already in front of her. Sorry for the long answer, unreasonable people irritate me. As a 100% disabled veteran (male) and a advocate for mothers, especially those with little ones (my Traditional Catholic Church is half filed with them), I feel that a line is a line. First come, first served. If you want to give up your place in line it is your prerogative. Personally I need the handicapped stall as the seats are higher. You can not tell that by looking at me. You can discern by sight the needs of the wheel chair bound but you also can see those of the young mother with two little ones, unless you are socially ignorant and insensitive. At the very least the young mother needs to strap the infant to the changing table to take care of hers and the toddlers business. The lady in the wheel chair needs to cool her jets and bite her tongue unless she is about to mess herself. If she then spoke of a pressing need I'm sure most, but not all, would accommodate her. I have seen old vets at the VA hospital washing their underwear out in the sink. I feel for them and know my day is coming. WWJD? Dominus vobiscum! Some one please shoot me if I ever get as self-centered and selfish as that woman in the wheelchair. I've seen too many people abuse the handicap label. I always use the handicap/parent stall because I have 2 kids and usually a stroller and that is the only one we fit in! That lady was rude and out of line. If the changing station is in the handicap stall, then its a dual purpose stall. First come, first serve. My local store (oh I'll name it --Meijer) has two regular stalls and a handicap stall in the women's room in the front and back of the store. The one up front gets all the "business". What frosts me is when a mommy comes in with kids and lets the kids dawdle in the stalls alone. Park them all in the larger stall and get the job done. Its not a time to teach bathroom habits. And while I know many dislike Walmart.....the bathroom has 10 stalls, 6 sinks and 2 changing stations NOT located in a stall. Customer service. On the other hand, Target has not only handicapped parking spaces (needed), but spaces for expectant mothers. . . . .really? Frankly, I find many (not all, but many) disabled people to have entitlement issues. The presence of a changing station in the stall indicates that it has been set aside for both the disabled OR someone with a baby. In my opinion, the mother with children had every right to use that stall and she was in line ahead of the disabled person, right? It doesn't take very long for a kid to pee. But the most obvious question is this: If the lady in the wheelchair felt she was the only one in the room who had a right to access the large stall, why didn't she go directly to it instead of waiting in line? I'm confused. The stall was obviously intended for the use of those with children, as well as the handicapped. Additionally I agree with Kristi, above, that just because that stall is made available for those purposes doesn't mean those are the only people who ought to use it. When there's a line, the first person should take the first available stall, unless they need to wait for a specific one. As a mother with many young children, I have often allowed several people to go in front of me because I had to wait for the larger stall with the changing table. The handicapped stall was designed for both the handicapped, and those parents with children requiring the use of the diaper changing table. I'm partially handicapped and will only use the handicapped stall when I'm in severe pain and have a very bad arthritis day. Otherwise, I will go into the other stalls to do my business. Now if I'm in line to use the bathroom,and there is someone who has an urgent need for the stall, I will of course allow them to go ahead of me. In this world you will always have people who feel their more entitled than others. First come first served is my motto! If I choose to let the the mother and kids take the handicapped stall when its available then that is my right. Just because it says handicapped on it, doesn't mean you can't use it if you aren't handicapped. You don't need a permit to enter one! I use them all the time because they are bigger and roomier. Given that the stall is both handicapped and a changing station, I have to agree that it's appropriate for the woman to take the stall. Additionally, making the stall handicapped accessible in no way makes it handicapped exclusive. The "first come, first served" folks have it right. It is an accommodation not preferential. If someone chooses to offer to let the handicapped person take it before them I applaud their graciousness but for the handicapped to demand it is just rude. The woman with the children who also need the handicapped stall gets it. Not only has she been in line longer, but there are three people utilizing that stall with a just need. Yeah, I think someone should have opened their mouth, and that lady in the wheel chair should have been put in her place. A mother and her baby gets priority over nearly everyone. Tell the woman in the wheelchair she can wait her turn. Handicapped is not only for handicapped, unless it is a parking space. Nowhere does it say that a Mother can't use a stall, especially if it has the changing table. Whatever happened to common courtesy, and patience? Handicap laws have become a huge scam. One city got a federal grant to install one mile of handicap approved sidewalk. The problem it was such a small town there were no sidewalks and now their are sidewalks that go past empty fields and end nowhere and there isn't a handicapped person in town. It was all about the free money. Probably 90% of the people with handicapped parking stickers are perfectly healthy. It is a common scam to harass your doctor to give you the handicapped parking spot. One day walking into work I was walking up the stairs with a co-worker back from a heart bypass. He parked in a coveted parking spot close to the building with his new handicapped sticker so I asked him why he didn't take the elevator. He said his doctor told himto get more excercise. So why the handicapped sticker? It's all about privilage. There was a small store in my town on a small corner lot that rebuilt under a new owner. The owner had to put in two handicapped spots with of course a wasted spot between them for wheel chair access. So out of 7 parking spots three were lost to handicapped only parking. The man's business was seriously impacted. Imagine driving by wanting to buy a soda and all four parking spots are taken, so you keep driving. Another city near me spent millions to tear up the sidewalk at every street corner and put in handicap friendly access to crosswalks. Millions spent to make the change in a city that is cash strapped and cannot meet it's legal demands due to lack of revenue. Another example is a successful interior decorator in a small town wanted to move her business out of her home and into a commercial setting. So little commercial buildings in this town so she was able to find just one place the second floor of a small building. The zoning commission wouldn't let her do it without spending $400,000 to install an elevator. So she stayed in her home and didn't expand and the building owner still can't rent out the second floor. It is crazy the law has gone crazy, the intent was to make access better and the law is being used to "hold up" business owners and hand out billions in public funding for wasteful projects. This has gone so far past "doing good" and is doing harm. Yes, a lot of persons with handicapped parking permits are perfectly able to walk. I know. I am handicapped and have to park way across the parking lot much of the time. I see that you have a problem with handicapped entitlement. But it is not "all about privilege" as you state. It WAS all supposed to be about access for disabled people -and a lot of them are veterans of our foreign wars, by the way. I live in Alaska where in as normal winter it is very difficult to navigate a parking lot even with a handicapped permit. Guess what, our local Costco stores have remodeled their parking lots and guess what? They reduced the number of handicapped spots AND moved them away from the building. I can see you are adamant about handicapped privilege, and there has been tremendous abuse, but me thinks you protest too loudly and incorrectly. I always though locating handicapped spaces close to the building was a matter of practicality-especially in bad weather.. I think if you can walk all through a 100,000 sq.ft. Walmart you darn sure can walk 50 yards to the front door. Funny, my older brother agrees with me and he's 100% blind and has a handicap tag that he doesn't use. There may be many who abuse disability laws to their own benefit, but many people who don't "look" handicapped in fact aren't able to walk long distances and need the parking space. Sometimes it comes down to an extra 15 feet preventing someone from getting to the store on their own or needing a cart. Re: "I think if you can walk all through a 100,000 sq.ft. Walmart you darn sure can walk 50 yards to the front door. " My wife has two badly arthritic knees and can barely walk 10 feet, much less 50 yards. (Knee replacement surgery is scheduled, finally, thank God.) She does almost all our shopping, because she doesn't like the way I do it. You know, in-and-out, get-r-done style, LOL. Anyway, I drive her, drop her at the door, and she uses one of the motorized shopping carts to get around the store. Meanwhile, I am parked in one of the handicap stalls waiting for her. She motors out to the car, we unload, I follow her back to the door and pick her up after she drops off the cart. I park in the handicap slot because it is too dangerous for her to use that slow-moving cart all across the parking lot to find me. Try not too be so judgmental. Yes, Ron Johnson. Your reply goes to the heart of what people "observe" but don't know. And Anonymous 2:51 seems to say: "Then don't go shopping." What? Stay home and wallow in self-pity and die? May Anonymous 2:51 never lose his mobility -or bladder control! "I see that you have a problem with handicapped entitlement"
I think you pretty much summed up the problem. There shouldn't be any "entitlement". None! Zip! Nada! Ironically yur snippy remark about veterans I too am a veteran and I too have a military related handicap. But more then that I am 71 years old have just gone through my second serious surgery for cancer and each time my doctor wanted to authorize a handicapped sticker for me. But you missed my point in your eagerness to justify your "entitlement". It has become common and acceptable to penalize the taxpayer to reward any group that can lobby a politician. No one would argue that barriers shouldn't be removed but should we raise taxes to remove them all now or eliminate them at that time when these "barriers" would have been removed/rebuilt as a result of scheduled work and not expensive "make work"? Was it really necessary to build a mile of sidewalk in a town that had no sidewalk and no one uses the sidewalk? What really occurred is the politicians got federal tax money to pay for a job that one of his buddies contracted. No one needed it, no handicapped person had their "entitlement" stroked. It was simply cronyism and a waste of tax money. What I'm calling for is common sense. Imagine a small 7-11 style store with seven parking places adjacent to the front of the store. All of the parking spots are less then 20 feet from the door. Was it really really necessary to take three of those parking spaces away from the owner of the store and make them handicapped only??? Or have you noticed that the federal government is $18 trillion in debt does it really, really make any sense to use federal tax money to pay off cronies to build or modify infrastructure that doesn't actually need to be fixed or built??? Where is the common sense? First, I never said "stay home" nor implied it. My point was if you can get yourself around a store on your own then the proximity of your parking spot shouldn't be an issue. Same thing, if you are going to the store hoping they have a mobility cart you're probably not preparing properly to take care of yourself. As I mentioned, I have a 100% blind older brother who feels the same way. I suppose Ron Johnson would find that my brother was also judgmental. Well, Ron, he lives it every day. It's not about being judgmental. It's common sense. We're talking about preparedness. 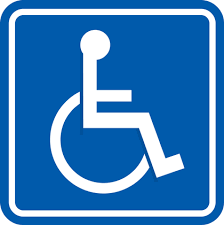 Anyone who takes themselves (who may be handicapped) or a handicapped person to a store really ought to make sure they can take complete care of themselves and not rely on the amenities a store may or may not have. It seems very common sense to me. The woman with the small child should be allowed tenter the handicapped stall first since it was her turn. I am a little surprised by the harsh tone of some of the responses, but then most of us can identify more strongly with those who have or have had problems like ourselves. So let me answer as a now older woman who is handicapped and who has been since my babies were six months old. There was a time when I would have met both criteria -the handicapped lady in the wheelchair and the handicapped mother with two babies 15 months apart. First, I can tell that there is a resentment against entitlement and I feel it, too. I have witnessed the ugly behavior of those in wheelchairs who seem to feel that their disability should elevate them in status or in line. BUT, I also want you to consider the many frustrations the disabled person feels daily and how they often see a world of unfeeling people around them who seem to take their own able-bodiedness for granted and don't even care to understand the sometimes overwhelming sense of vulnerability and lack of physical control over their bodies that handicapped people have. But most of you WILL know one day if you should live long enough. Many able bodied folks are unaware that MANY people who are wheelchair bound and unable to walk, and this especially is true as they age, have bladder issues. This is the sad and frustrating consequence of being mostly immobile. So incontinence or "iffy" bladder control is something that is always pressing on our minds. I don't know of many wheelchair bound people who have not had embarrassing, humiliating bodily accidents. Also, once in the stall, the struggle for the handicapped person to get their pants down, slide out of the wheelchair and onto the toilet and then do everything in reverse takes a lot of time. I have peed in my pants a time or two before all that work to get to the toilet got done! And, no, we don't always feel it coming on. Nor should we do as I personally have been told, "Then why don't you just stay home and not go out in public?" Unfeeling huh? Comes from being uneducated or unsympathetic or not caring about the needs or feelings of others who are not "like us" - not our same generation, not our same ability level, etc. Now, for the mother with young kids part: I have been there, too. It is hard not to feel for the mother with young ones and a baby trying to get business done without pulling her hair out. Yes, she, too, deserves a kind thought and the special blessing of a person who sees and understands her immediate need. Cannot we SEE a person's distress any longer? Maybe not. Social media and virtual friendships and communication have isolated us and dulled us from looking into the faces of desperate people and not even seeing them. It has also led us away from empathy so that we are not even being able to look into our own hearts as to what is fair and just. We just base our opinion on what our generation's experiences are or thinks or what our own circumstances are. Bottom line, though, is - to quote a famous quote often attributed to various smart people: "Be kind for everyone is fighting a hard battle." Just keep that in mind the next time you see ANYONE in distress of some kind. What I would have done? Let the young woman go ahead of me. Then to the woman in the wheelchair: "Ma'am, if you really, really have to go next, (to the others standing in line) is it all right if this lady goes into the handicapped stall next?" Not sure how the other people standing in line could find this solution unreasonable. They would feel like heels if they said no. At least, I hope they would feel like heels. Thank you for writing this! This solution to the "who is next" debate makes sense and the one I thought more people would have come up with. Having been the mom with 3 littles, back in a day where there weren't any large handicapped stalls, changing tables, etc., I can certainly appreciate all the changes for the moms today. I also know, first hand, what my mother deals with in her large motorized wheel chair. She would have waited but in her heart would have been hoping that after the woman and her children came out of the stall, it would have been offered to her next. I don't think she would say anything to the others in line, to ask for it, or to complain. I use the handicap stall myself, but not if there are others waiting behind me for it. I am not in a wheelchair. I have a bad back and the elevated toilets sure make my life easier. It's not too different than being in line at a store and seeing someone with fewer items and letting them go in front of you; I'm always the lady with the overflowing cart as I don't shop often. I can't let everyone go in front, and I certainly don't get in the express lanes. I love to see a face brighten up when they come up behind me (with my filled cart) and I turn to them and insist they go ahead. It's so worth it to do a simple kindness! Thank you for posting this response. I share your opinion on how I would have approached this. Of course, there may be those offended that they are being asked by the person at the front of the line, if they would consider letting the woman in the wheelchair use the handicap stall next, but is it not worth the risk? If someone objects, so be it. Sometimes, just a hint like asking, is all it takes to make everyone smile at the opportunity to be kind; who knows, maybe everyone in line was thinking the same thing. Since the stall was designed for both,and it is public, it's first come, first served. If the woman with the child wanted to let the woman in the wheelchair go first, that would be a nice gesture on her part, but it would be left up to her. Not enough Good Samaritans or Solomons here today. "First come, first served" is NOT what Jesus would say! Serving others and those in particular need is what our Lord advocated. Sounds like most of the responses here are from generations who don't have a loved one in a wheelchair or have ever been out with that person. A lot of you will come to the wheelchair in your lifetime. I hope the attitude toward you is a little kinder than what has shown up here today. That would neither be Samaritan nor Solomon. Do you understand that YOU do indeed have right to give up something to another person if you want to be it out of charity or for any reason. YOU do not have the right to give up something of someone else's to assuage your conscience. YOU cannot give up your space in line to someone who is well behind you in line because to do it you have to TAKE from everyone else in line ahead of them. This is exactly where the federal government goes wrong to give away over $1 trillion every year to welfare bums. It has to be taken from someone under threat of violence first before it can be given away. That isn't charity it is highway robbery. Don't "take" something from someone and give it to a third party and then pat youself on the back for being so charitable. The stall is provided for both mothers and handicapped. I would have allowed the mother to go as she was next in line, it was very kind to let her go first. Had the wheelchair lady been behind the individual, she would have given first preference. I do not believe that because you are in a wheel chair infers special treatment or privilege. I would have loved to have said something to put the wheelchair person in their place however I would remained quiet and not said anything to her. Her rudeness is no excuse for me to be rude. Being a pregnant momma, with 3 other young children I've encountered the need to use the handicap bathroom many times. Since the diaper changing table was in that stall, the establishment essentially made it a handicap & mother of baby stall. We all need to be courteous and thoughtful of others, but we also must use common sense in those kinds of situations. Wanting to not sound as harsh as perhaps my first comment did ….. I believe it appropriate to allow either a handicapped person or a mom with baby first access to such a stall. Courtesy should always be the order of the day. What I believe is silly is reserving an empty stall for someone who might come in when there's a waiting line. If the handicap stall was open, why on earth didn't the lady in the wheelchair just go on in instead of waiting in line in the first place?? I would have been the young mother everyone was staring at. Because I would have told the lady in the wheelchair to take the stall and changed my screaming babies on the bathroom floor in front of God and everybody. I've done it before, and I'll do it again (although possibly not until I'm shopping with grandkids, as my last is almost potty trained). I don't see the big deal-- it's a cold hard dirty floor, not a bed of poisonous scorpions. Kids play on colder, harder, and dirtier. Now, I WILL use accessible stalls if I'm dragging lots of kids and no one with a physical disability is waiting for them. I WILL change my kid on the changing table if that's where the table is at (although I think it's poor planning to put it there) and no one is waiting for it. I WILL do that because my stepmom was in a wheelchair, and my FIL was in a wheelchair, I've taken medications that caused such severe joint pain that I NEEDED those rails to haul myself off the toilet, and I get it. We're all carrying burdens, but dealing with a pack of kids in a store is still a happy burden to bear (even if I have to remind myself of that when they're screaming, grabbing, and trying to push the cart). Negotiating life from a wheelchair (whether because of paralysis, heart problems, chronic pain, or whatever) isn't a burden of joy. Notwithstanding, it wasn't cool to be snitty and mean about it. "Excuse me, I'm sorry, but I'm really desperate here. Can I go first please??" would have been a more appropriate way to respond. I DO get that getting through the store in a wheelchair is a real struggle, and that living with physical disabilities takes a toll on mental health and tends to leave a big load of bitter. I've got disabilities too-- getting through the store is a real struggle that ALWAYS leaves my brain misfiring at least a little, and bitter is something I have to fight almost every single day of my life. Disability notwithstanding, I'm still expected to manage to be courteous, polite, kind, and considerate. People expect it of me, and I expect it of myself. They would still have a right to expect it, and I would still expect it of myself, even if I had a "visible" disability instead of an "invisible" one. Making the effort to be those things-- even when you're about to soak your Depends and your heart is full of black self-pity-- is part of the job of being human. The stall was obviously set up for two purposes, the handicapped and the baby changing station, so whoever got there first should use the stall unless the one who was there first was a gentlewoman and allowed the other to go first. Handicap stalls are NOT for the handicapped alone. Anyone can use them. They are not sacrosanct. Handicapped people can wait their turn just like the rest of us. It's downright ignorant of any handicapped person to think a crowded restroom with lines waiting would have a gloriously empty stall waiting just for them, and them alone. If their physical condition leaves them with incontinence and/or urgency problems, that's what Depends are for. Am I being a pig handicap hater? No, I am handicapped and I wait my turn in grocery stores, concession lines, ticket lines, and restroom lines. To do anything else would be currying pity for pride. OMG, I have to pee and I am in public and now after reading this I am forced to think wwjd in an open stall situation with a myriad of people and their each individual needs behind me. Come now people, were talking in and out here, not being in their baking bread waiting for the yeast to rise. Next in line- do your deal and go. Take your feelings out of it and the politics of it out and just do what you need to. Sorry to say but we have all gotten' a bit sensitive. And to the women who changed the baby on the floor to "save the stall" - well in my humble opinion that is just gross! WWJD in that situation, take the innocent child and cast them to the dirty floor? I think not! It took me a while to figure out my response to this. The baby changing station is in the handicap stall therefore if there is a baby needing to be changed the mother uses it - there is no question that she should wait for regular stall. The woman complaining in the back was totally out of line. Now say there was no child/ren but a long line and no handicap person waiting, it would be silly to keep that stall open for someone who may never appear so use it and move the line along. After that it is a matter of common courtesy. But really we are fighting the wrong battle. The rules/laws for designing public restrooms are wrong. They make really nice handicap stalls but the regular stalls are cramped and narrow. The door opens in towards the stool so one basically has to straddle the stool or back up to it with all the resultant germs - yuck! They often put a child's seat in the handicap stall so a mother can strap her child to the seat while she takes care of business. It really is time for people to grow up. The handicapped/ bigger stalls are not just for handicapped people. It's not like say a handicapped parking spot. That person can wait like everybody else. As to little kids they often need to go RIGHT NOW. I will definitely let a person with small kids, especially if they are doing to pee pee dance, go in front of me.